There are sure to be some chants of “U.S.A.! 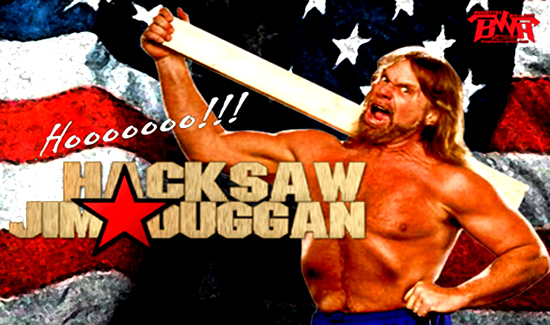 U.S.A.!” as WWE Superstar and Hall of Famer “Hacksaw” Jim Duggan gives the keynote address at the East Montgomery County Improvement District’s annual Law Enforcement Appreciation Dinner Monday, Feb. 22. The area’s finest officers from the cities of Patton Village, Roman Forest, Splendora, and Woodbranch, Lone Star College, New Caney Independent School District, Splendora ISD, the Montgomery County Sheriff’s Office, Constable’s Office and the Department of Public Safety will be recognized for their outstanding achievements. The event will be held at the EMCID Complex, 21575 U.S. Highway 59 North in New Caney, at 7 p.m. It is open to the public. Tickets are $20 per person. Please RSVP to Sandy Seelye, Events Coordinator, at 281-354-4419 no later than Friday, Feb. 12.